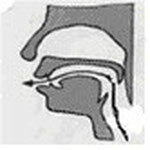 Lesson 3 Tongue-root Sounds: g, k, and h - jjeasychinese. When they are pronounced, the tongue root touches the soft palate with breath strongly breaking through. Thus they are called tongue-root sounds. The tongue root touches the soft palate and the air blows off the tongue root from the soft palate. Similar to the “k” in sky. Similar to the “ k” in key. 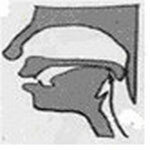 The tongue root approaches to the soft palate. Similar to the “h” in hot.